The students needed me to make a difference, and they couldn't wait another year for me to figure it out. The disciplinary referrals were piling up in the manila folder on my desk. Their pink, yellow, and white triplicate forms were complete and signed by parents and guardians and entered into the school system's data management system. Even though I had already dealt with these behavior documents and events, they still troubled me. As the assistant principal for 8th grade, they bothered me because the same students' names populated the forms day after day. They had become "frequent flyers" in my office. And even though I was doing my job as it was assigned, I knew I needed to do something different to serve these students. Turning students' lives into ink and paper was simple, but it wasn't enough. It wasn't making a real difference in their daily lives at school and beyond. 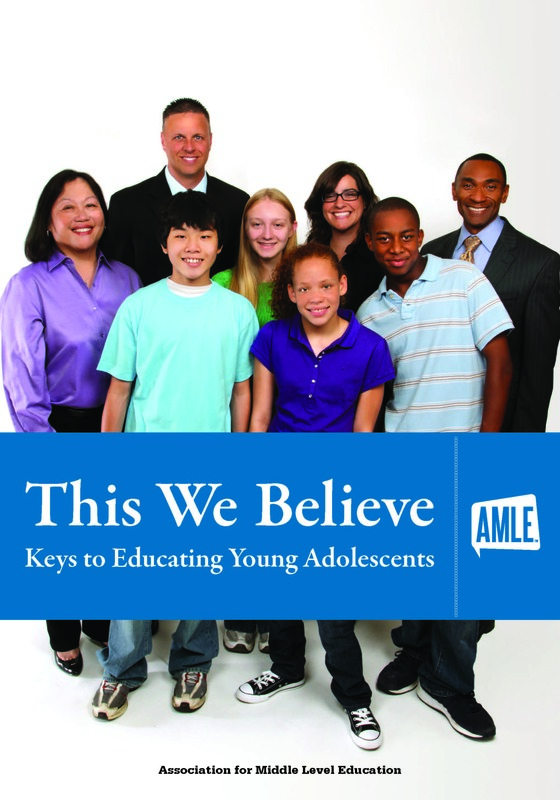 According to This We Believe, one of the hallmarks of an effective middle school is that it is inviting, safe, inclusive, and supportive of all, and that is has specific programs to support that essential characteristic. For instance, at our middle school the advisory program provided a space for all of our students, giving them voice and providing them with caring adult advocates. It was well organized and driven by highly passionate middle level educators. What we lacked, though, was a targeted program that served the needs of specific students—an advocacy program to reach students and make a difference another way. With the weary manila folder staring at me with repeated names on disciplinary forms, I decided I had to create such a program. The journey to develop our advocacy program, called PATHWAY, was filled with interesting twists, turns and learning curves, but we kept it moving forward because we knew it was going to make a difference for students. This experience taught me that making a difference is not simple. The landscape as we walked on for student advocacy was neither smooth nor clear. At times, our footing was unsteady and uncertain. However, we joyously and passionately stepped forward because we were finally making a difference in the lives of every student we served. Read a full description of the journey to develop our targeted advocacy program, including guiding questions and a few of the twists and turns we encountered along the way. As the director of middle level services for the Association of Middle Level Education (AMLE), Dru Tomlin, PhD, has a commitment to educational improvement and a passion for teaching, learning, and middle school. A former teacher and administrator, he also has been a school system staff development trainer and a faculty member for AMLE's Leadership Institute, believing firmly in the power of professional learning. For his work, Tomlin has been recognized as a school system Teacher of the Year and as Georgia's Middle School Assistant Principal of the Year. Connect with Tomlin on Twitter @DruTomlin_AMLE.